Earlier this year I was suffering from a lack of enthusiasm with gaming. The narrow field of games I really enjoy meant that the list of titles on my game shelf and in my Steam account hadn’t seen any new additions for some time. I mainly look for solid first person shooters but tend to go for the middle of the road as far as realism is concerned. Arma II is a little too involved as I like to be able to jump on, kill a few people, and jump of in as little as half an hour but still be able to have some epic hour-long battles on occasions. While Call of Duty can do this, it’s a little too arcade-like for my taste. However things weren’t too good there either. 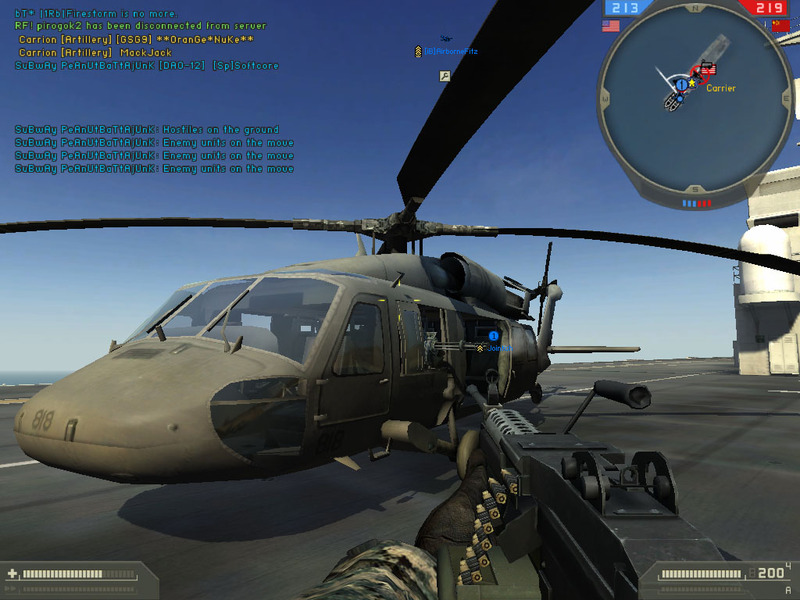 I was a big Battlefield 2 fan but gave it up nearly two years ago having played it to death. I’ve had brief flings with other games, but I’ve been mainly looking for something to fill the BF2-shaped gap in my life. In a strange move, a new patch arrived for the game - several years after the last one was released. It promised several fixes such as widescreen support (before you’d had to hack the shortcut command line to play on a widescreen monitor). Despite the patch being outrageously late, I decided to fire up Battlefield 2 to check it out but didn’t really have any intention of getting back into it. So, I installed it again, applied the patch, played a few singleplayer rounds to get my head in gear again and joined a multiplayer server. I was hooked. It was like reigniting an old flame except it was even better than I remembered (except for the graphics). Within a few days I was back to my old self, grabbing the odd gold medal, scoring decent kill ratios and getting into some heroic squad action. Most of the servers I had played on regularly didn’t seem to be around but I soon found others and even managed to persuade some old BF2 buddies to dust their copies off too. If you’ve not played BF2 much then this will be nonsense to you, but one particular round saw us start on the US Forces side of the map ‘Strike at Karkand’. Our squad quickly dove down to the riverside and managed to fight our way to the train accident flag. Unfortunately (although it did make the next 10 minutes rather interesting) the other team were having none of it and squads came at us from two directions and a massive firefight ensued. While our advance had been halted, we managed to hold on long enough for some other members of the team to arrive and we then crossed the river and out-flanked the enemy squad in some daring behind enemy lines action. It was the best hour of gaming I’d had since I gave up Battlefield 2 nearly two years earlier. I began to wander why I ever uninstalled, though the answer to that was fairly obvious. In short, the moral of the story is that it’s never too late to fire up an old game. The graphics might be dated and AI a little simple compared to modern games like Left 4 Dead 2 and Modern Warfare 2 but apart from that you’ll almost certainly have a good time. Which were your favourite games of the last 12 months? Let us know in our yearly vote! 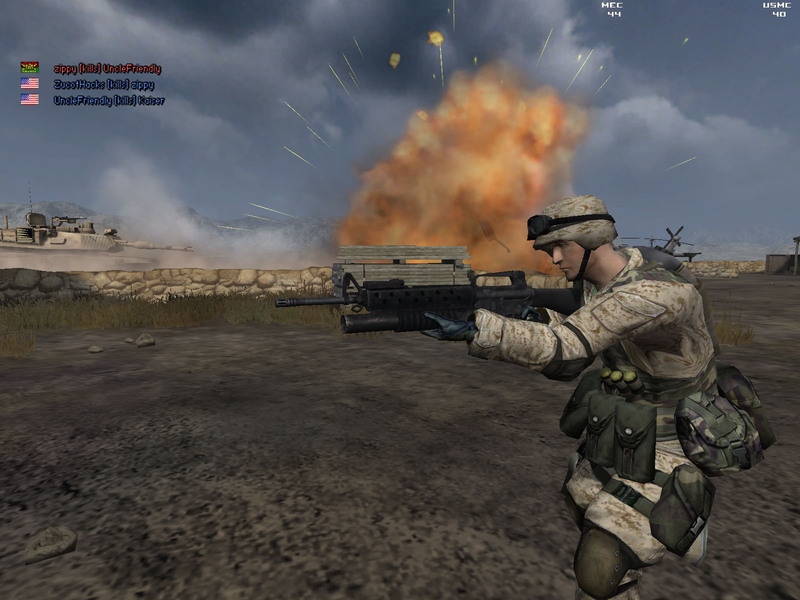 We take a good, hard look at Battlefield: Bad Company 2. Does it measure up to the standards of Battlefield 2, or is this little more than a quick cash-in that's ported over from the console version. We aren't pulling punches today, so check out our review for the full story.